While social networks are still massive and generally doing well, there are more more reports of people getting fed up with such networks because they get too many friend requests and are not happy with the new advertising methods the sites use to generate revenue. For example sharing a person's buying behavior is not making users of such services happy. Today, the Wall Street Journal has an article that Bill Gates has stopped using FaceBook. The sad fact is that Microsoft has invested in the company. While I have complained in the past about getting a few friend requests a day on such networks, Gates receives 8,000 each day. This is absolutely astounding and explains why he would want to leave the service. The article also goes into the fact that you cannot ever delete your information on some of these networks. Certainly, all this bad press can't be good for the likes of MySpace and FaceBook and could signal a broader trend that the world has lost interest in such sites. Will Vobi Make Enterprise Social a Reality? \nFor example sharing a person's buying behavior is not making users of such services happy. 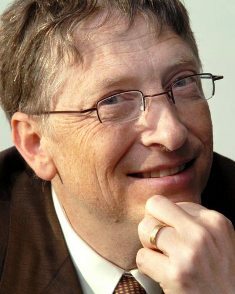 \nToday, the Wall Street Journal has an article that Bill Gates has stopped using FaceBook. The sad fact is that Microsoft has invested in the company. \nWhile I have complained in the past about getting a few friend requests a day on such networks, Gates receives 8,000 each day. This is absolutely astounding and explains why he would want to leave the service. \nThe article also goes into the fact that you cannot ever delete your information on some of these networks. \nCertainly, all this bad press can't be good for the likes of MySpace and FaceBook and could signal a broader trend that the world has lost interest in such sites.